Dorset, Vermont is a small town located within Bennington County in the southwest corner of the state. The landscape is characterized by a mountainous terrain with valleys cut by numerous rivers and streams. The town was chartered in 1761 as part of Benning Wentworth's New Hampshire grants. Since the late 1700's, agriculture has been an important part of the town's history. Ranging from small-scale subsistence farming, sheep raising and wool production, dairying and others, the history of Dorset encompasses many agricultural themes. The purpose of this website is to document the evidence of Dorset's agricultural past that is still visible on the landscape today. The work here is not intended to be a comprehensive representation of all the agricultural structures or themes in Dorset, but rather a starting point for local residents and volunteers to conduct further investigation into the town's agricultural past. 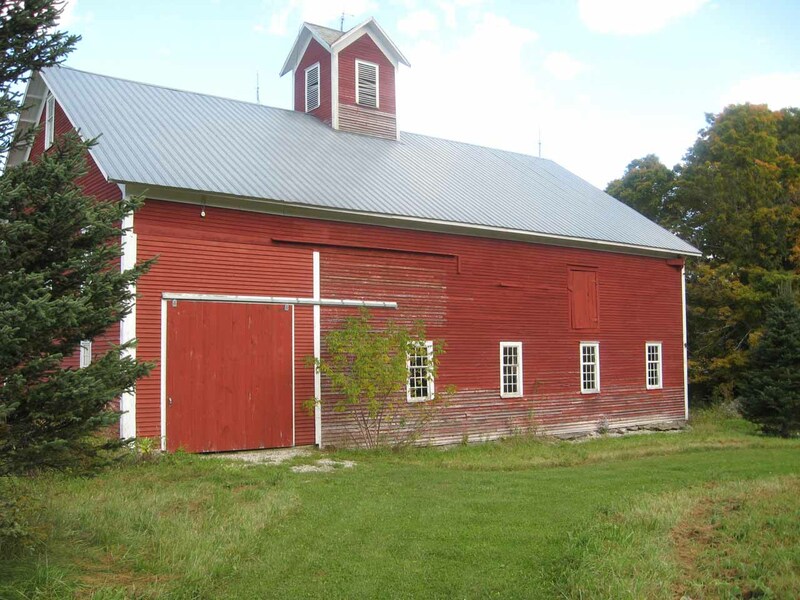 If you have information about a structure on this site or one that does not appear, or maybe you are just interested Vermont's barns in general, then you are encouraged to check out the resources on this website and get involved with the Vermont Barn Census. This preliminary research about barns and farm buildings in thirteen Vermont towns is offered as a public service to assist local volunteers with their efforts to learn more about the agricultural heritage of these communities. It is hoped that additional information on the history and features of these barns will be submitted by volunteers through the Vermont Barn Census project. The historical research and preliminary field documentation was conducted during the fall 2009 semester by graduate students enrolled in the Researching Historic Structures and Sites course at University of Vermont Historic Preservation Program with the assistance of local volunteers as part of the Vermont Barn Census, a statewide project of the Vermont Division for Historic Preservation, the University of Vermont Historic Preservation Program, Historic Windsor’s Preservation Education Institute, Save Vermont Barns, Vermont Housing and Conservation Board, and the Preservation Trust of Vermont. Funding support provided in part by a Preserve America grant through the National Park Service to the State of Vermont Division for Historic Preservation.